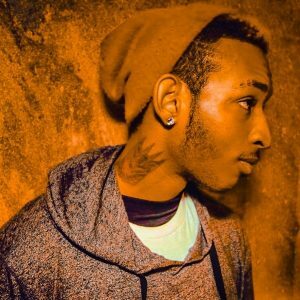 If you scroll down his Soundcloud page, you’ll see Dantiez Saunderson has a couple tracks with an artist named bjëlo aka MEME’s good friend Nick Bjëlopetrovich aka InSOUL. Story goes they started talking in 2012 and one day Nick sent Dantiez a track and a collaboration was born! When Nick moved back to Chicago Dantiez hooked him up with KMS. With that out of the way, here’s a copy/paste from Dantiez’s Soundcloud bio! As one of three children, Dantiez Saunderson, was born and bred in Michigan and is the middle son of Recording Artist (and techno pioneer) Kevin Saunderson and Singer/Songwriter Ann Saunderson. So you would imagine that it was a ‘given’ that Dantiez was automatically going to establish a career for himself in the music industry. However, you would be sadly mistaken. It wasn’t to be until 2012, at the age of 20 that Dantiez decided to take a plunder into the music industry. He realised that music was the way to go for him, when he saw the change in electronic music and how his generation (as a whole) were starting to interact with the music, so much more. Not only has he immersed himself into producing music, but he has stepped into the world of djing. Although his inspiration to dj was by watching the likes of the three ‘Originators of Techno’ (namely Derrick May, Juan Atkins and of course his own Dad, Kevin Saunderson), he has also been influenced by DJs such as Marco Carolo (from Italy) and Seth Troxler, (Seth is one of the new generation of DJs, currently riding high and co-incidentally, he’s also from Michigan). This young man knows where he’s going and as he says “music is my life (just as it is with my Mother and Father), so the sky’s the limit… Ultimately, I wish to travel the world and share my music and good vibes with others. Just being able to do that is rewarding enough”.